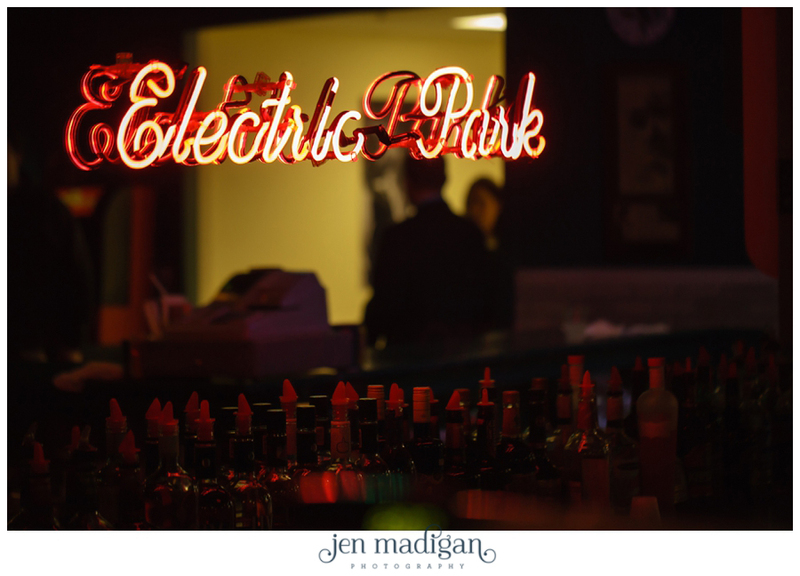 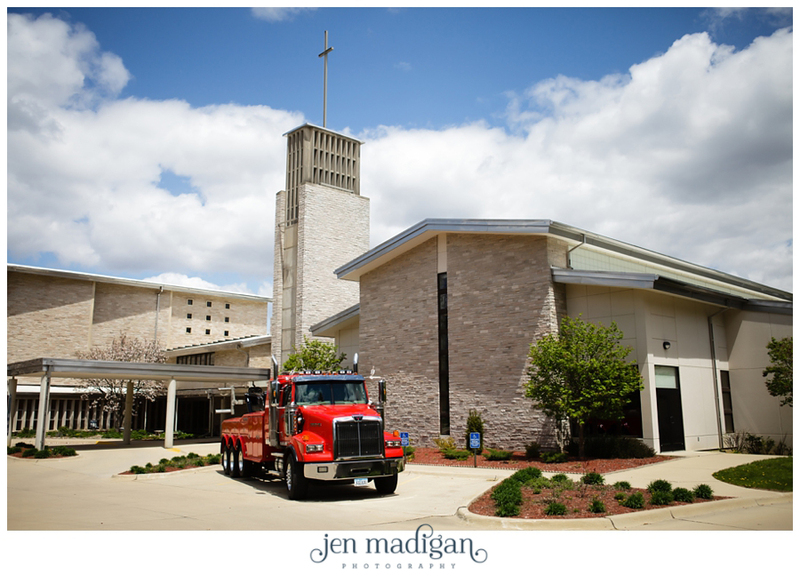 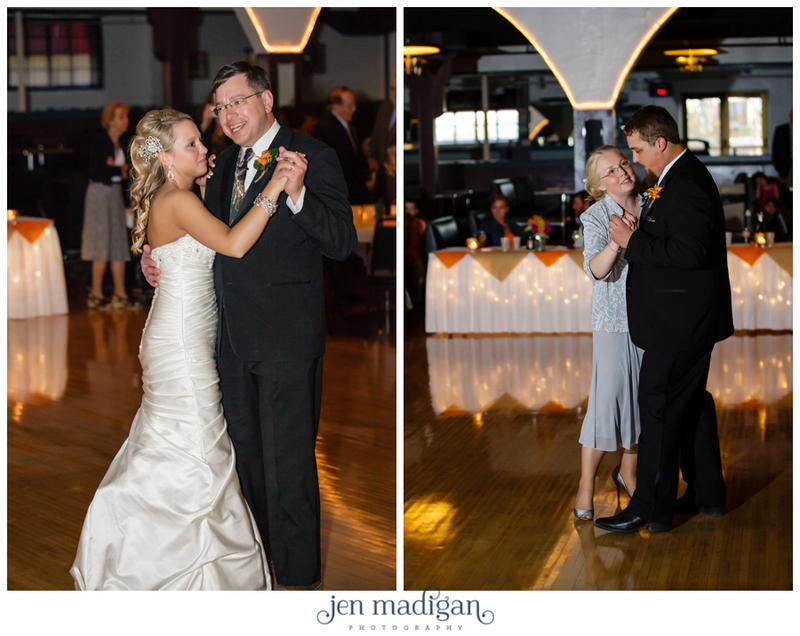 Macayla and John were married in Waterloo at the Westminster Presbyterian Church, with the reception held at the Electric Park Ballroom on the beautiful, sunny (but a tad windy) 11th of May. 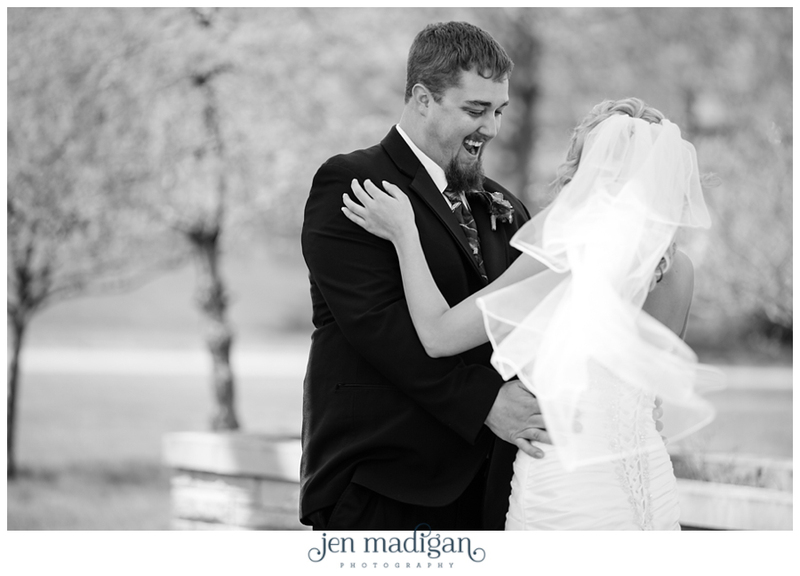 As you may remember from their engagement post, Macayla and John were brought together merely by chance (or maybe fate?) 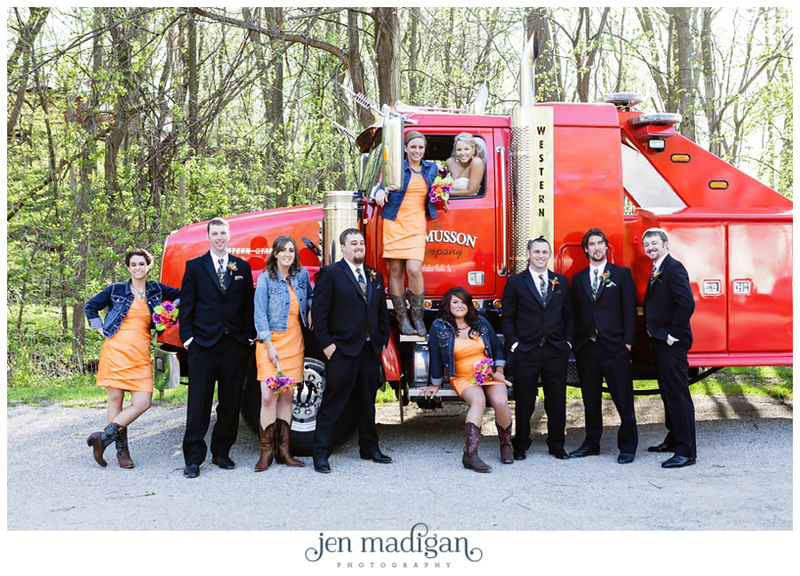 when Macayla's car broke down on the side of the road and John was the tow truck driver who came to help. 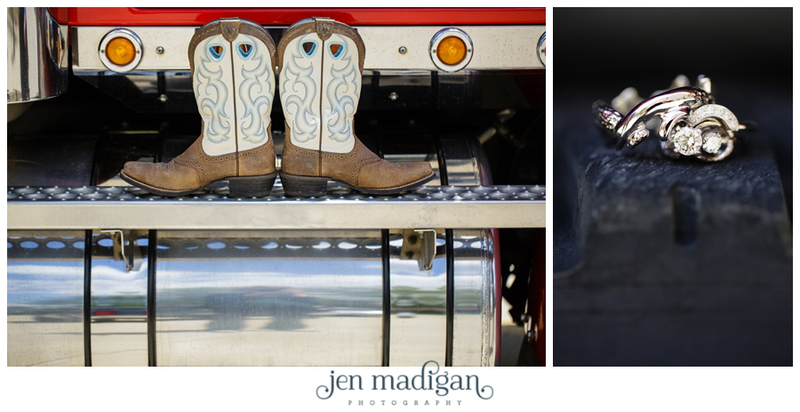 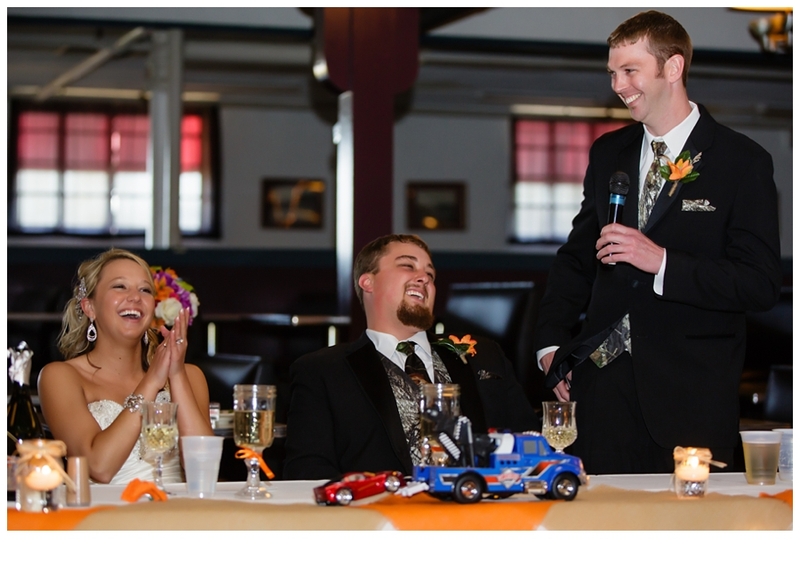 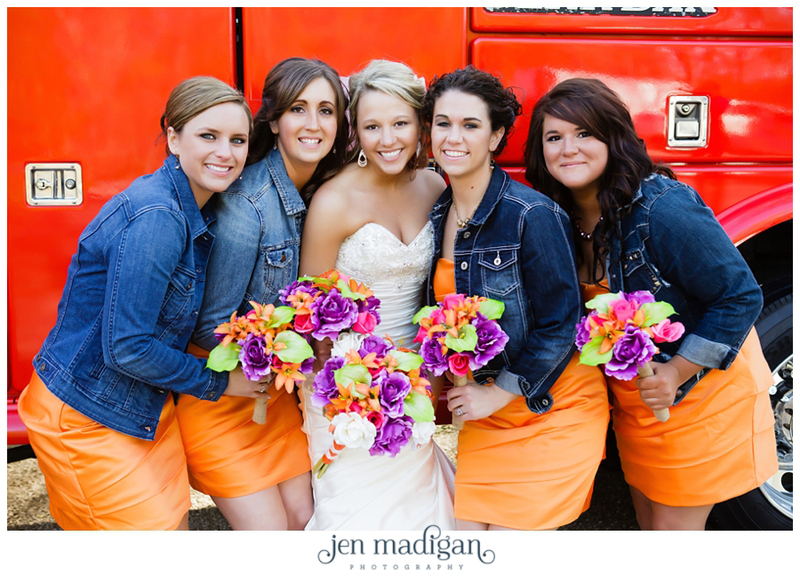 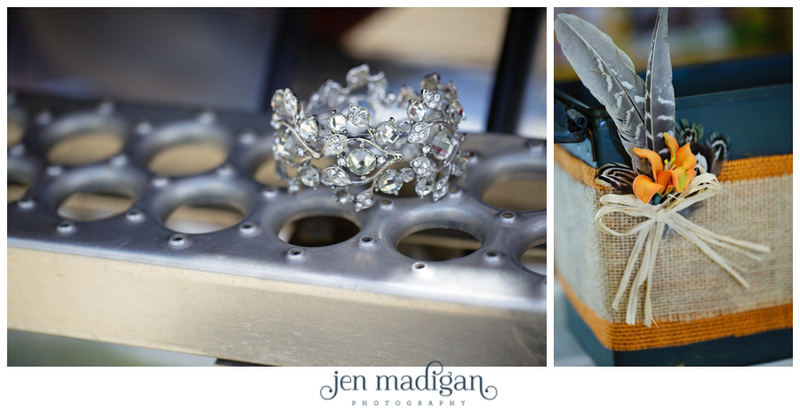 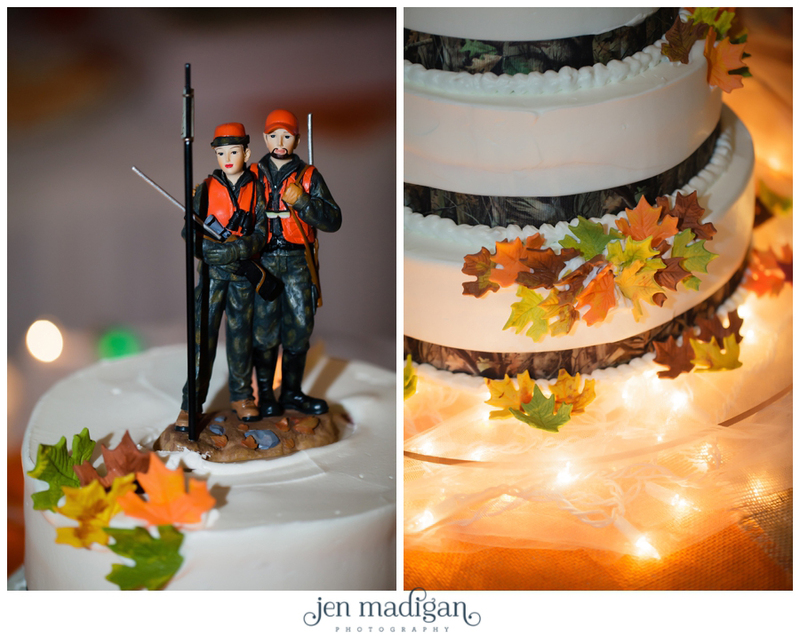 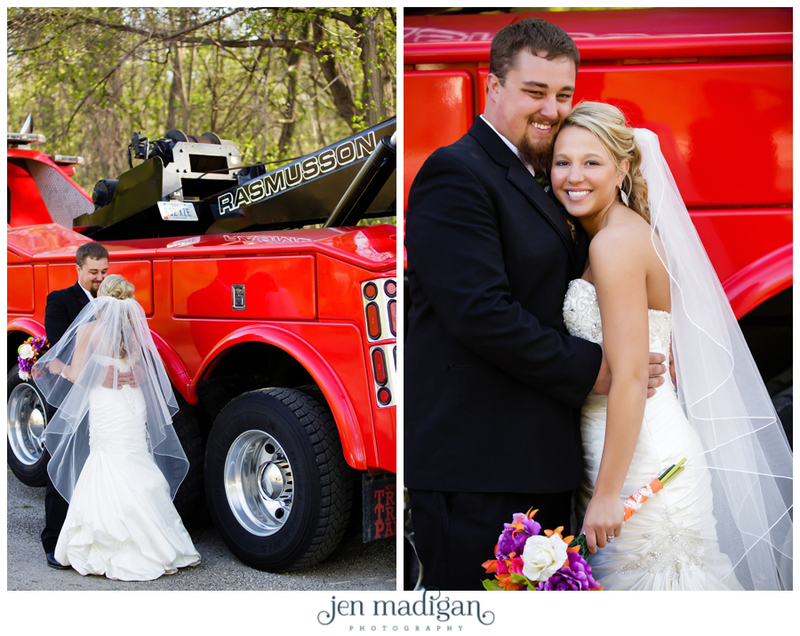 These two infused their entire wedding day with tons of amazing little touches that highlighted their relationship and personalities, from the camo and cowboy boots adorning the bridal party, down to the shiny red tow truck getaway vehicle. 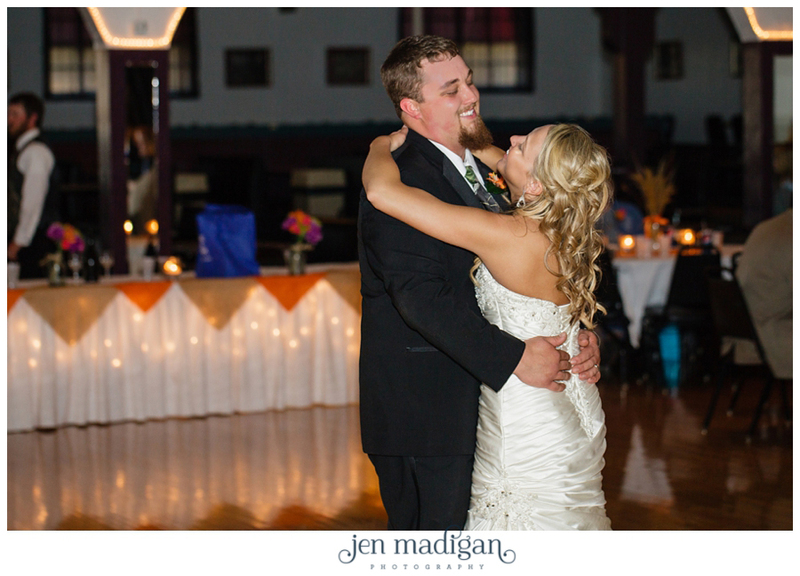 Macayla and John - You two are amazing, and we wish you all of the happiness in the world. 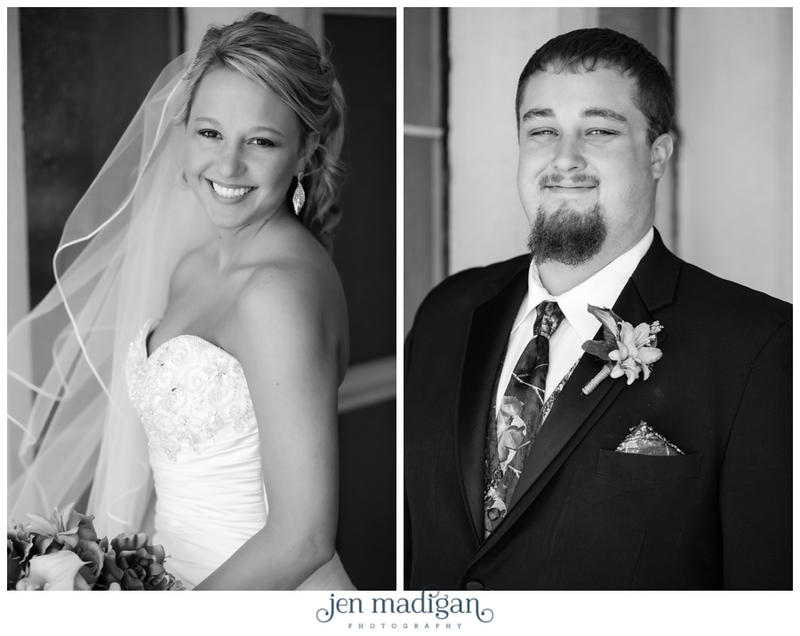 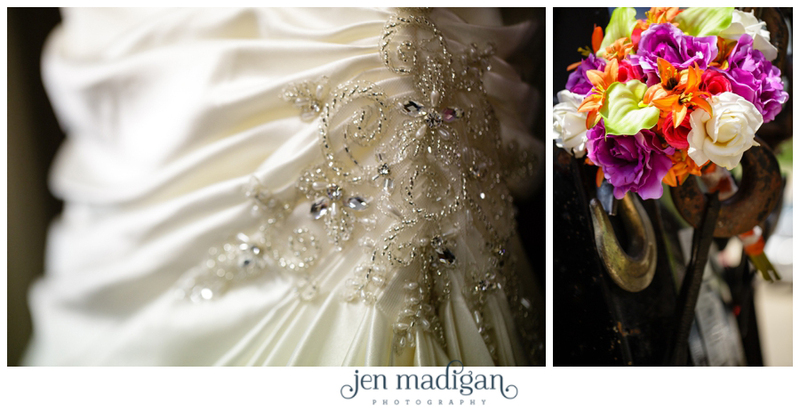 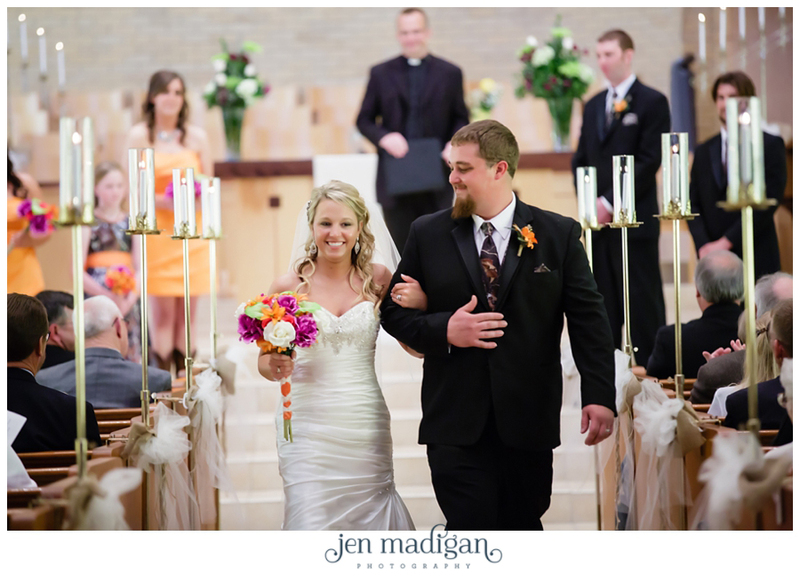 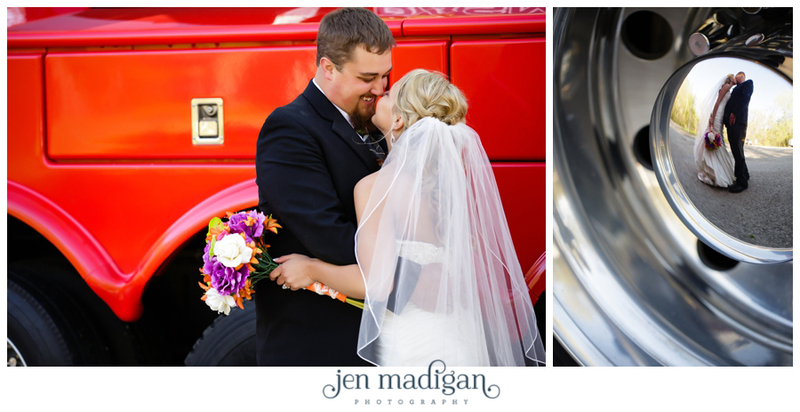 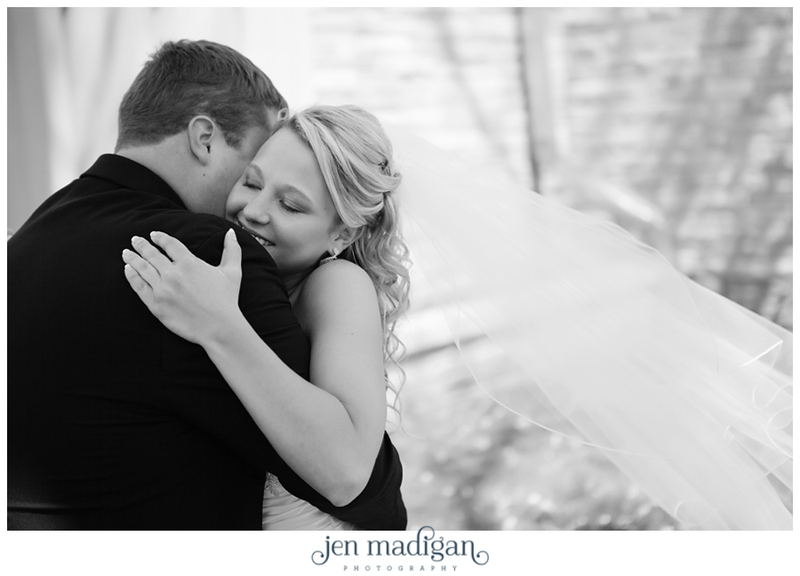 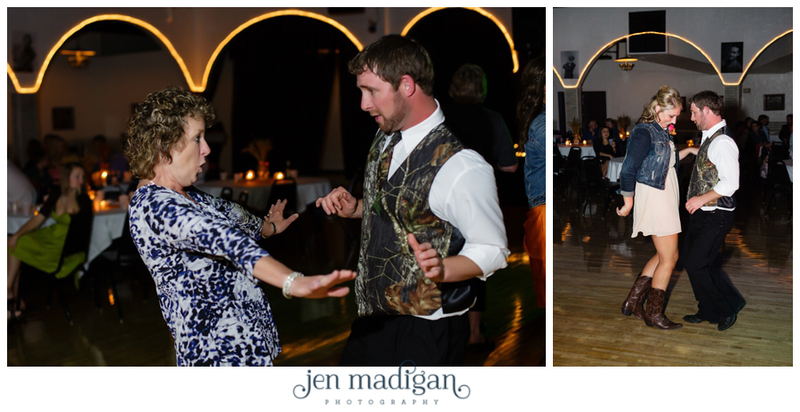 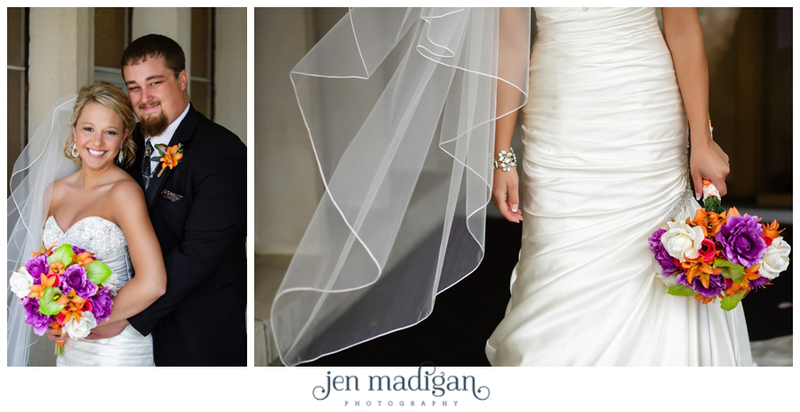 Thank you for choosing us to document your wedding day, it was so much fun, and we love you both like family. 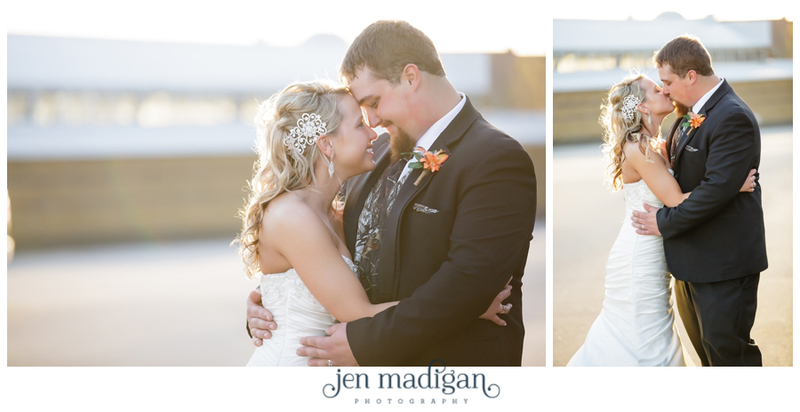 I hope you enjoy the sneak peek!! 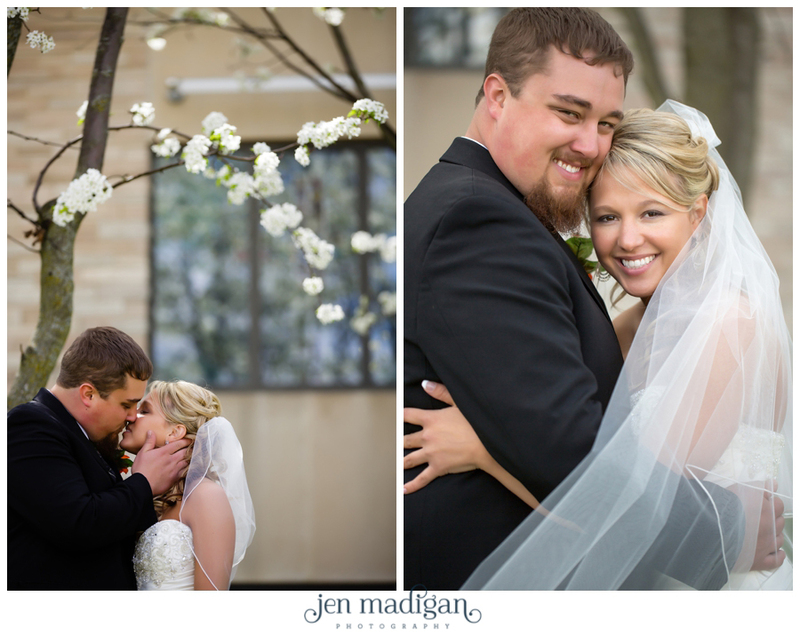 Macayla and John chose to do a first look, which is a great way to make sure you have plenty of time for amazing photos on your wedding day. 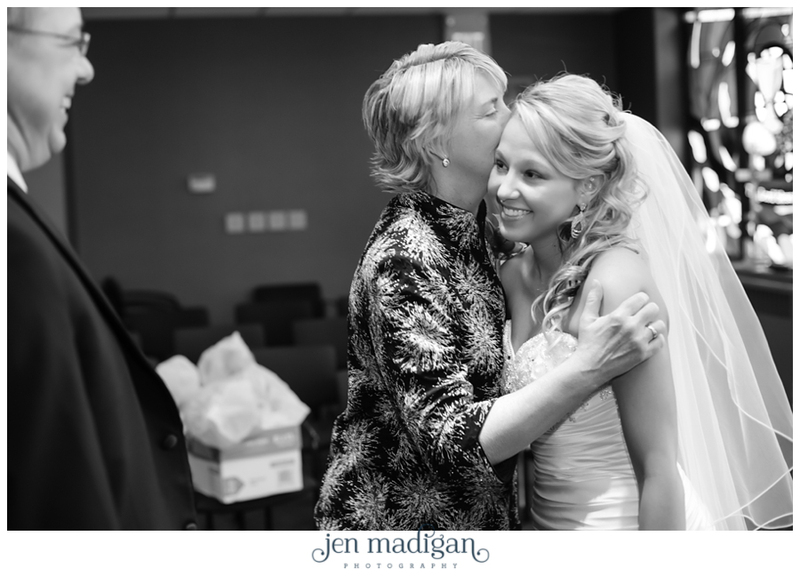 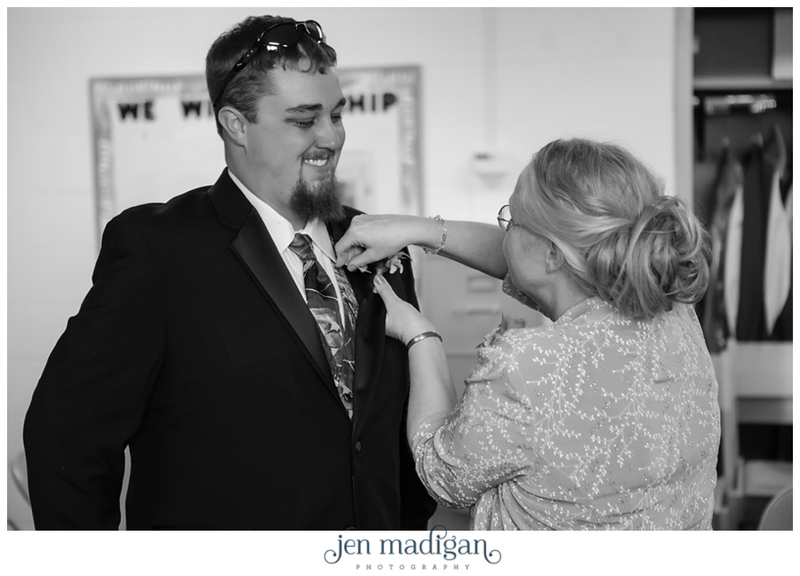 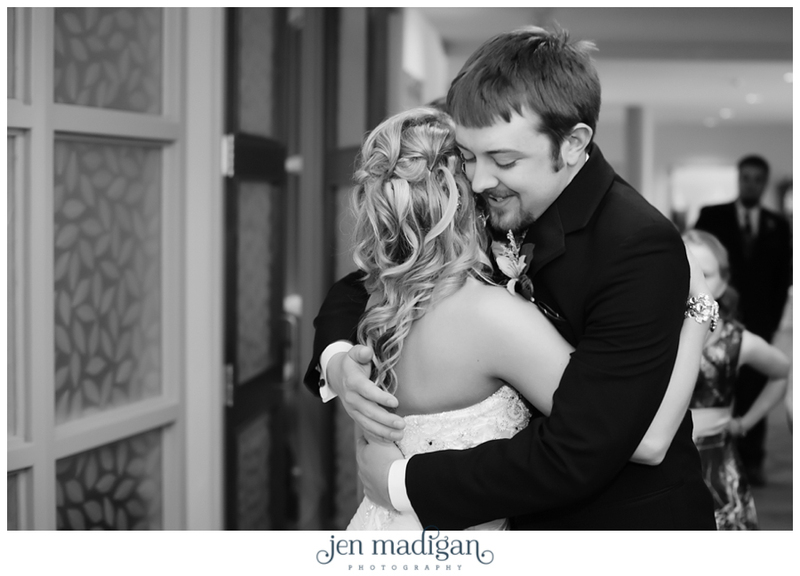 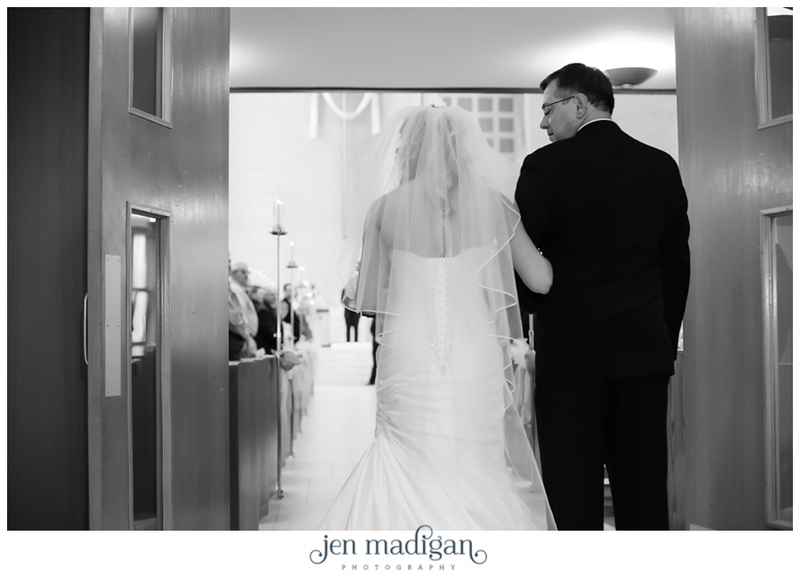 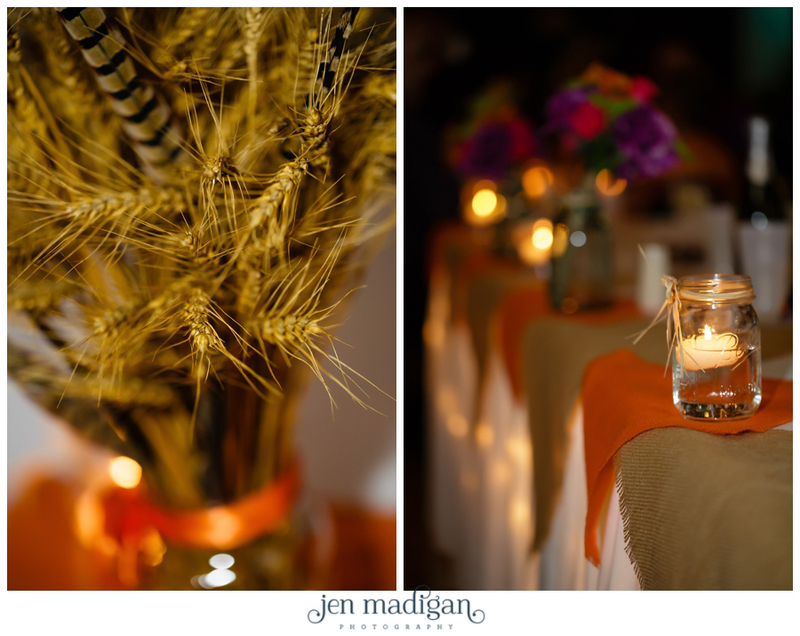 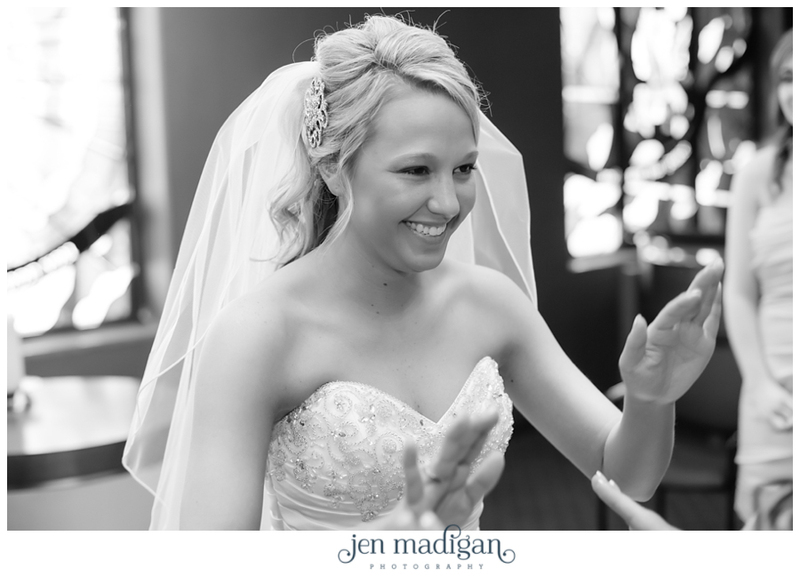 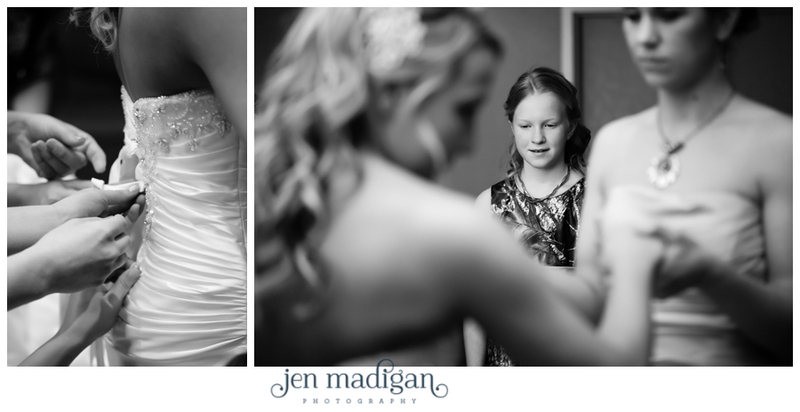 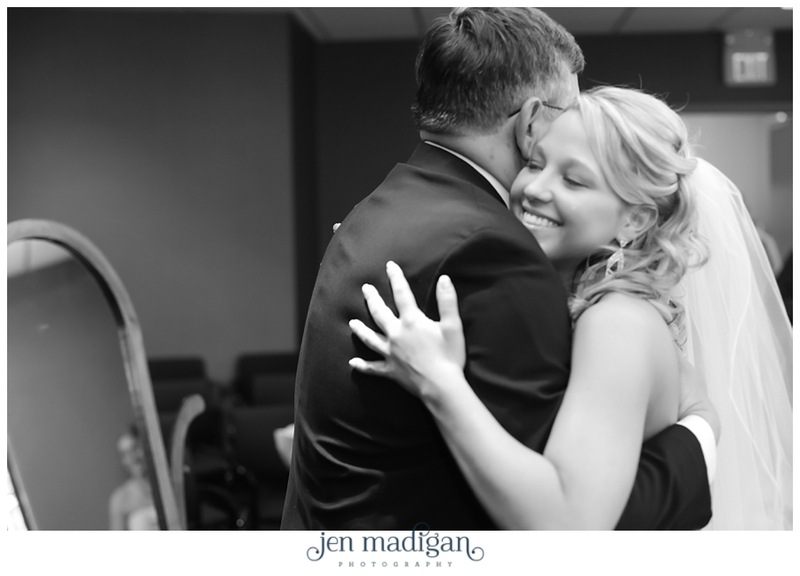 Trust me, when you see these photos you will realize that it can be just as special (and in my opinion, more intimate) as seeing each other at the end of the aisle. 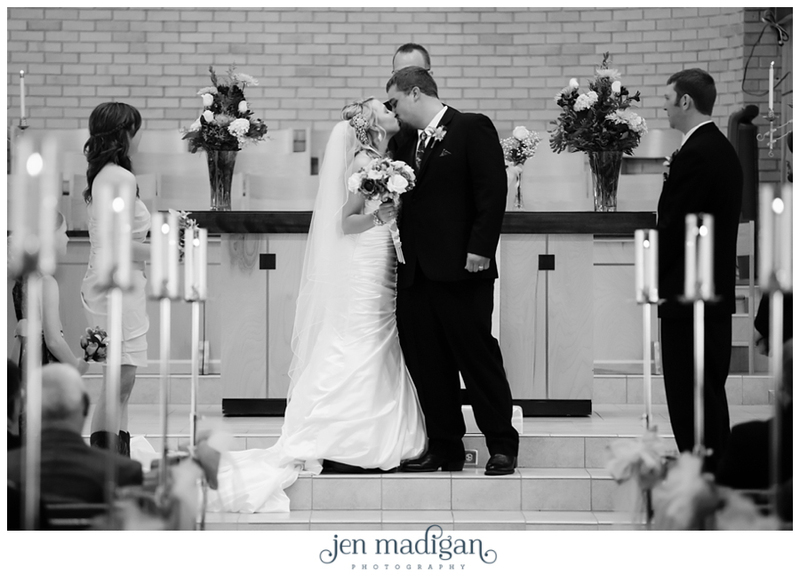 I just love this series, especially John's reaction. 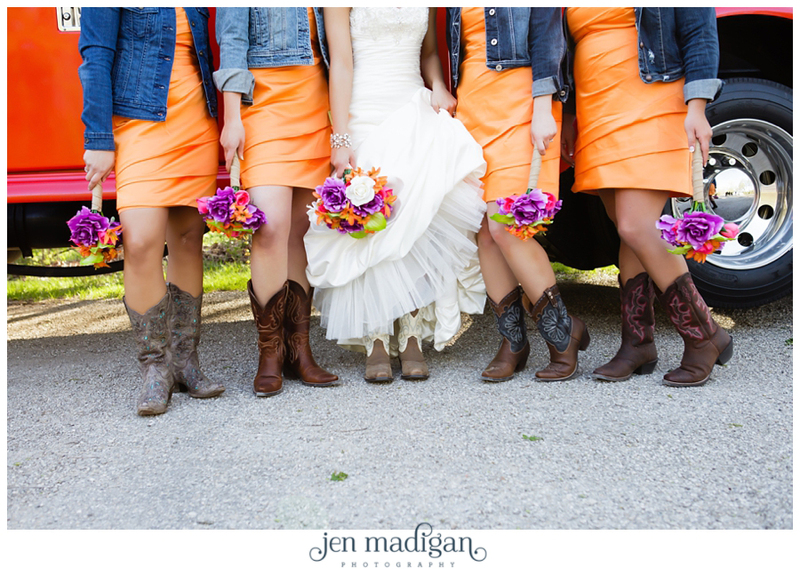 I LOVED the cowboy boots, it fit with their style perfectly and I think the girls were pretty comfy all day! 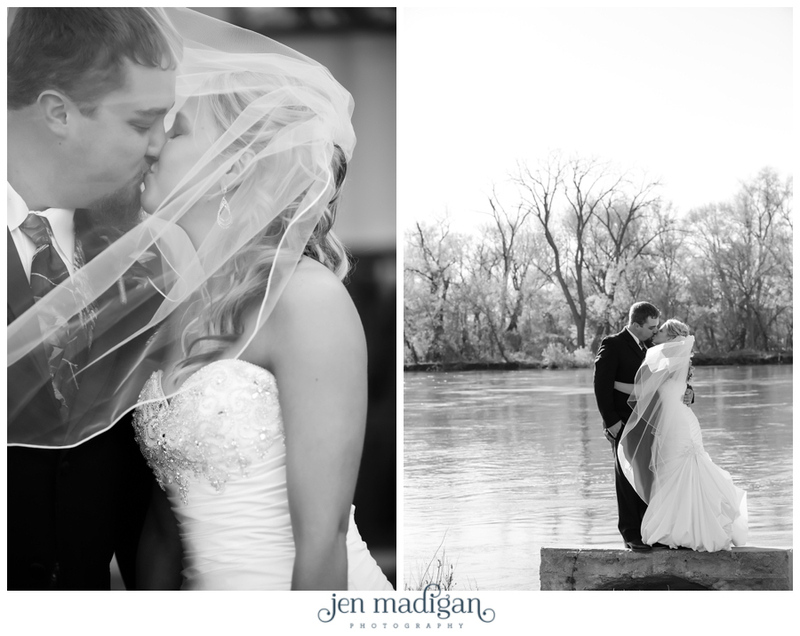 I have to say, I was thanking my lucky stars that Macayla had a beautiful long veil, which allowed me to utilize the wind in my favor to get some shots with gorgeous natural movement. 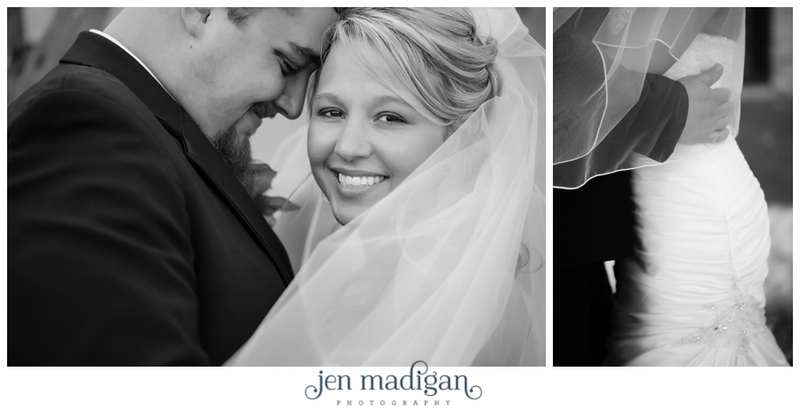 Photo on the left by Josh.